There are a number of lifestyle changes that can benefit your health, including scheduling more time away. I know several people who attend health retreats regularly — and even a few who run them — but are they really all that effective? As it turns out, it depends on the retreat and the attendees. A new Australian study published in BMC Complementary and Alternative Medicine found that most health retreats do, in fact, seem to benefit attendees who live with chronic illness. However, more study is needed to determine which types of retreats work best for specific populations. According to the CDC, about half of all adults, or 117 million people, have one or more chronic conditions. Heart disease, stroke, cancer, obesity, type 2 diabetes and arthritis are among the most common, and seven of the top ten causes of death in 2014 were from chronic diseases. In fact, 46 percent of all deaths were caused by heart disease and cancer. These chronic conditions cost Americans billions of dollars each year. Cardiovascular disease cost the nation $316.1 billion from 2012 to 2013, while cancer care cost the nation $157 billion in 2010. Behaviors that lead to these expensive and challenging chronic conditions include lack of activity, too much sodium, not eating enough fresh vegetables and fruit, smoking, and excessive drinking. Health retreats often require attendees to abstain from such behaviors. Most also encourage participants to mingle with one another and develop a dynamic like those of support groups. According to this new study from Australia, retreats can also help improve your quality of life, based on the information we have to date. Researchers from RMIT University and Cogstate Limited in Australia examined 23 studies in their review. Each study provided the team with a diverse sample of attendees who differed in employment, chronic diseases and financial backgrounds. Of the 23 studies examined, four focused on retreat programs that target cancer patients. The results from these four studies found that participants benefit from the retreats. People reported lower levels of anxiety and depression and felt that the retreat improved their quality of life even five years after attending a retreat. 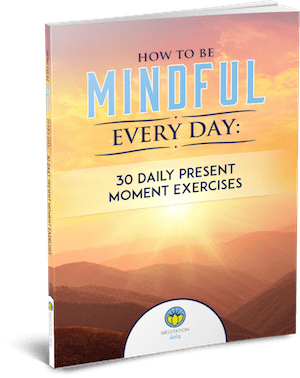 Conversely, one study showed that 44 professionals who attended a Mindfulness with Metta Training retreat found the retreat to be largely ineffective immediately after attending it. The human service professionals didn’t report any differences in self-compassion or resilience at the conclusion of the retreat. However, the study went on to survey participants one and four months after the retreat. Unlike the cancer patients who reported immediate benefits, the human service professionals didn’t report improvements to mindfulness until a month after their retreat. Four months after the retreat, attendees reported higher levels of self-compassion. The review suggests that depending on the attendees and the retreat itself, different results may follow. There are a few other considerations as well: many of the studies in the review had small sample sizes, poorly described methodology or very little data on follow-ups with subjects. The good news is these experiences “appear to have health benefits that include benefits for people with chronic diseases such as multiple sclerosis, various cancers, HIV/AIDS, heart conditions and mental health.” The authors note, however, that there’s more research needed to examine how these health retreats benefit people in the months and years that follow attendance. It would also be useful to examine different clinical populations to determine which retreats are of utmost benefit to people who live with chronic conditions. Finally, for some people, health retreat costs are prohibitive. The team suggests more research designed to help people determine if the economic impact of attending a retreat is worth the investment. Thankfully, there are many ways to invest in your wellness. Investing in yourself isn’t limited to a costly retreat. You can make small and large changes in your life that greatly impact your health. Lifestyle changes that involve stopping smoking, exercising more and adopting healthier eating habits are some of the most common. However, scheduling free time in each day, practicing mindfulness through yoga or meditation, and spending time with loved ones can help people manage chronic conditions effectively. You might find that a support group or another social organization that’s not attached to your chronic condition will help you emotionally manage it. Whether you live with depression and anxiety, cancer or anything in between, social support, healthier choices and mindfulness can greatly help. If you have the chance to go on a retreat, do your homework and pick one that suits your health and wellness goals. Your experience may be a great investment with benefits that last for years. Have you ever gone on a health retreat? Let us know in the comments below!